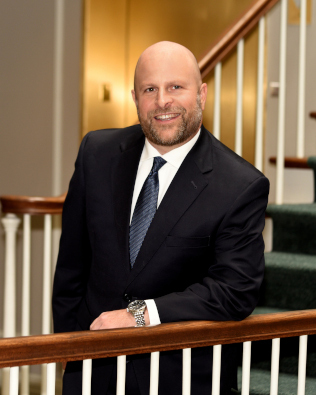 Brad Leber’s practice is concentrated in real estate and business law, providing valuable counsel to his clients in all types of transactions and covering a wide variety of issues. From residential and commercial purchase and finance transactions, to tax assessment, zoning and planning matters, to routine and novel corporate and business matters, Brad’s focus is on providing prompt, excellent service at a reasonable cost. As a managing partner of the firm, Brad looks to maintain a responsive and cost-effective legal team focused on delivering exceptional client service. Brad is a licensed real estate broker, currently serving as broker of record for Pasch Realty, Inc., Midor Property Management, LLC, and 360 Real Estate, LLC. He also serves on the board of the Historic Hellam Preserve, the Golden Knight Foundation, and on several corporate boards and committees. He is a former member of the boards of the York County SPCA and the Eastern York County YMCA. Brad is a native of Hellam, in eastern York County, and he continues to reside there today with his wife, Jenna, and their three children.